Whenever I get a new CD to review, I’m always so excited to listen that I don’t often bother to read about the artist or the inspiration for the music. 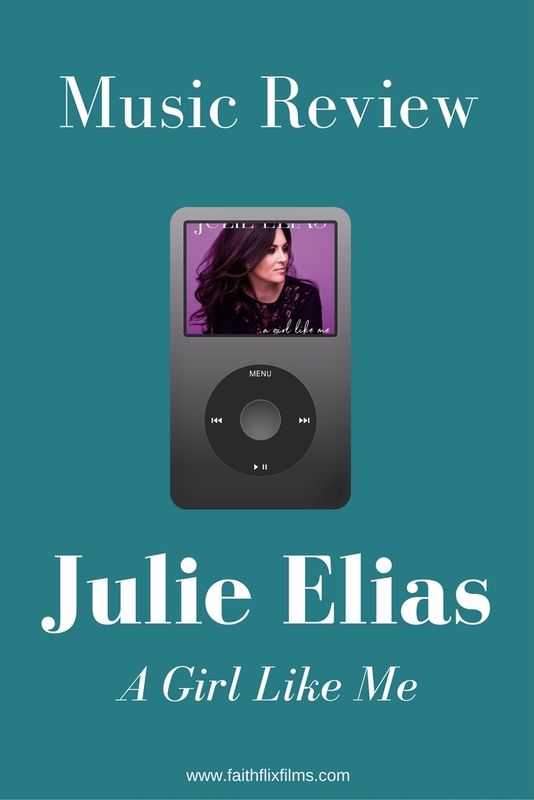 When I got Julie Elias’ album A Girl Like Me, I was in the midst of Christmas present wrapping, so I immediately popped it in and bopped to the uplifting music. It made me feel youthful and brought back memories of artists I enjoyed in my younger years. I listened to it over and over, enjoying her beautiful voice, the powerful lyrics, and the pleasant tunes. What a treat to come to the computer to write my review and finally read about Julie. Not only is she a Christian singer/songwriter, but she’s a former actress who appeared in numerous shows including Grey’s Anatomy and CSI:NY. Unfortunately, the Hollywood life was not bringing her the happiness and contentment she was looking for, so she surrendered herself to what God wanted her to do: be an influence in Christian music and use her stories of rejection, beauty and her own faith to encourage others. In 2014, she founded Aurora Ministries, a 501c3 non-profit that creates Christian material and events specifically for teen and tween girls. Through music, booklets, blogging, conferences and girls’ events, Julie has been able to share God’s role in her life – even when she didn’t think He was there – and find common ground to inspire young women all over the world. A Girl Like Me complements her girls’ events, each song with a specific story and purpose behind it. Whatever your age, if you’re looking for uplifting music with powerful lyrics, you’ll want to check out this album. I’d also encourage you to check out her events as I can only imagine how special they must be. You can enter here for a chance to win your own copy of A Girl Like Me.